A 100th birthday is a big deal. This year, Munson Healthcare Charlevoix Hospital is celebrating a century of care for the community. It’s a community that is more likely to make it to the triple digits too, because the care there is becoming more and more proactive and a lot of it is free. Michelle Dunaway shows us how they’re celebrating in this week’s MedWatch report. “I feel terrific. I’ve lost weight. My doctor said, ‘Keep doing what you’re doing. You don’t have a blood pressure problem, you don’t have a sugar diabetes problem, you don’t have cholesterol; it’s just a matter of diet and exercise,” said Tommy Dorsek. Good habits that Tommy knew he needed to adopt, he just needed a little push. “I wasn’t the most motivated person in the world and I’m basically lazy, so I figured if I’m going to live long, and I want to, I’m not going to be living with any diseases, or in a wheelchair, or crutches, or oxygen; so why not take care of yourself? Because I know I can’t control a lot of things, but I can have 100 percent control over what I put in my mouth, so I really watch what I eat and drink,” explained Tommy. A big part of his lifestyle change involved Munson Healthcare Charlevoix Hospital. “What I like about Munson’s philosophy is they’re promoting wellness, that’s why we’re here. I found that to be quite enlightening, quite uplifting that a health care provider is more worried that I don’t get sick than what happens to me after I get sick,” said Tommy. This year the hospital is celebrating a century of care. “We are so excited to celebrate the 100th year anniversary. 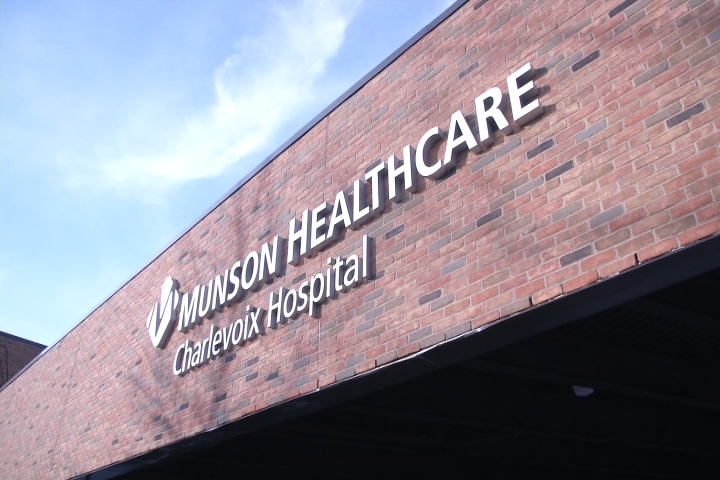 We’re so fortunate to be a part of an organization that has so many dedicated and caring people taking care of our community and, in return, how fortunate the community is to have an organization at our fingertips to take care of them and we’re in this together,” said Joanne Schroeder, president of Munson Healthcare Charlevoix Hospital. In honor of the centennial, the hospital’s Wellness Workshop is giving gifts to the community by honoring 100 wellness wishes. “We have little boxes that are put out throughout the hospital so people can come in, there’s a list of suggested wishes and they can either make them up for themselves or they can make a wish for someone else. They can do it in paper form or online through our hospital’s website,” said Julie Voci, community health education. Patients can either make a wish for themselves or for someone else. “They can do a smoking cessation program, they can do a wish for a one-on-one exercise consultation, they can meet with an occupational therapist to learn how to live more independently,” explained Julie. There are many different options that make being well a priority, and lots of chances for free education, like yoga classes. “Our goal is to prevent people from getting sick in the first place,” said Julie. They also offer free screenings on Wellness Wednesdays. “You can come in, meet with one of our registered nurses and they will do your cholesterol, your blood sugar, your body weight analysis, and they’ll go over those results for you so you have a starting point,” explained Julie. Whether it’s chair yoga or a raw foods class, you can be sure Tommy will continue to support his community hospital for their birthday and beyond. “It just keeps the health out in front of the community, and let’s face it, without health you’re not going to have quality of life. I’m very happy, and congratulations Munson!” said Tommy.